I taught middle school math for 11 years (and yearbook for 4 of those) before having kids. This Fall I'll be putting my teaching hat back on, but this time the content will be quilting workshops! I'm excited to debut my first workshop this Fall. 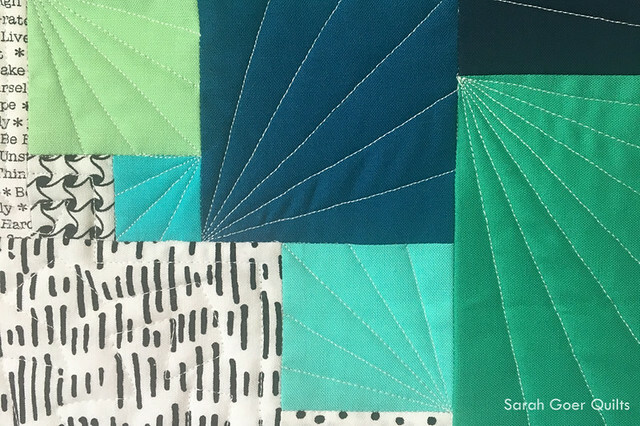 Planned Improv: Scrappy Squares, featuring the technique I used to create my challenge quilt, Greenery. My first two class samples show the diversity of the technique. Start with scraps you love and I'll lead you through designing your own improv layout and planning the construction to piece the puzzle you create. The technique lends itself to a variety of quilting motifs. 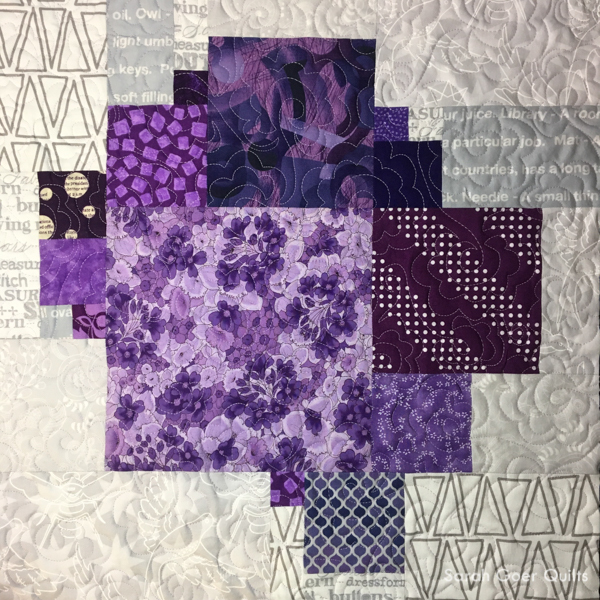 In my purple sample I chose an all over floral quilting motif, and in my blue sample I used each square to feature a straight line motif, with an all over free motion motif filling in the background of the quilt. I'll be teaching Planned Improv: Scrappy Squares at Bay Area Modern in Palo Alto, CA on November 11. 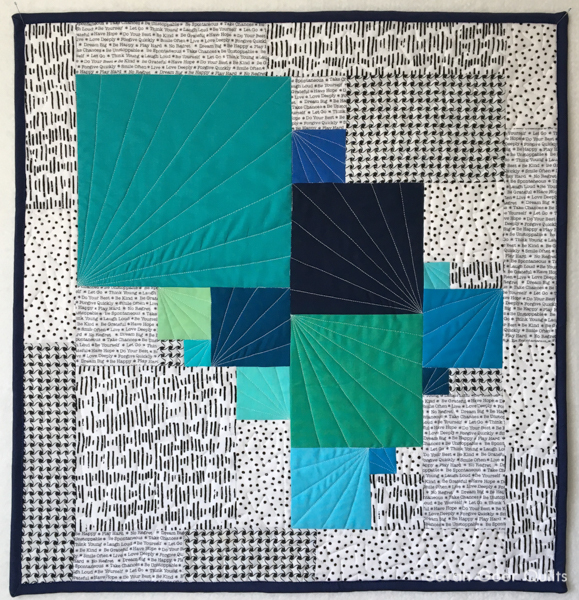 I will also be presenting a short demo of my technique at Quilting 101 for Santa Clara Valley Quilt Association in Saratoga, CA on November 14. 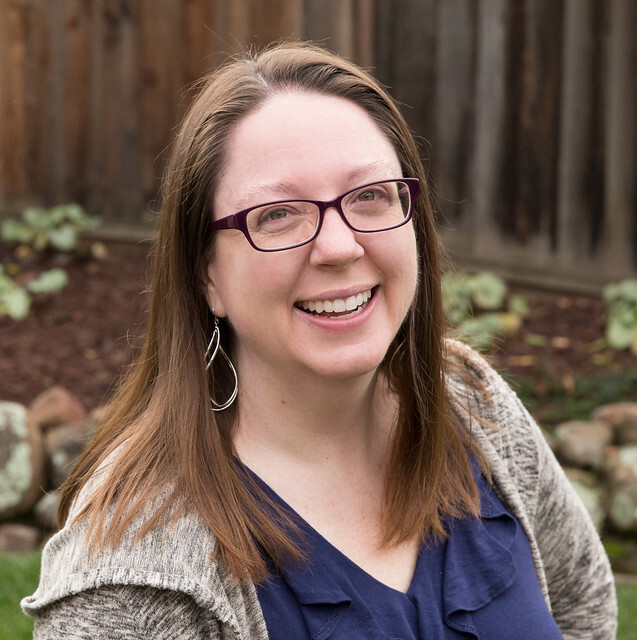 I'm currently booking to teach locally (within 50 miles of San Jose) and will book regionally for dates starting in mid-2018. You can contact me at sarah@goer.org to inquire about me teaching at your guild or shop. Posted in Quilting. 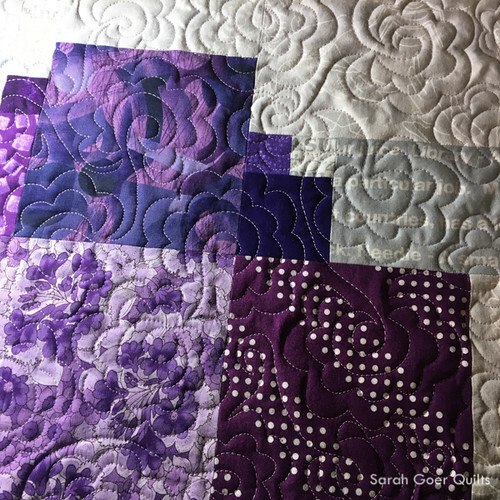 Tags: finished quilt, planned improv, scrappy squares, SGQ workshop on August 31, 2017 by sarah. I think that the Bay Area Modern guild is in for a real treat! I hope the workshop goes well and you have a lot of fun teaching. Thanks, Yvonne! I'm looking forward to it! Sarah, I love this pattern. It is completely different in both renditions. Wow! I like that it is a simple pattern to piece and placement of color and value change it up so much. Have a great time teaching. Maybe someday you'll come up to Grass Valley to teach. Our guild is fairly traditional tho.... but who knows? Beautiful designs, I hope to one day be able to take that class!